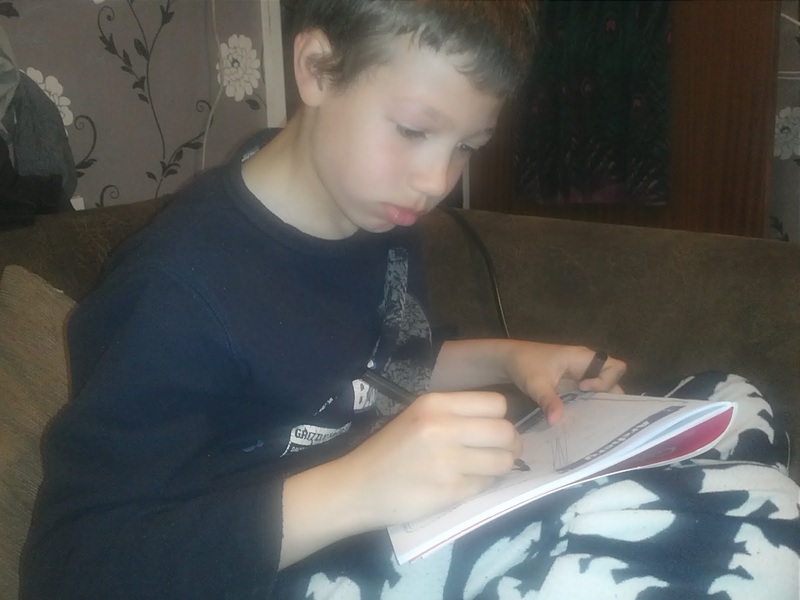 My son, David, is 10 years old and I knew he would love helping with this review. 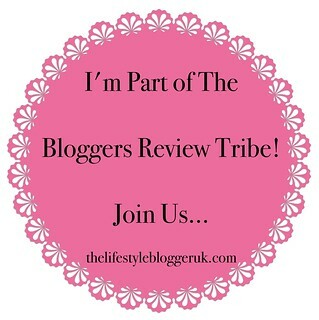 We regularly play board games - we have a huge stack of them - so I knew this review would fit perfectly on my blog. 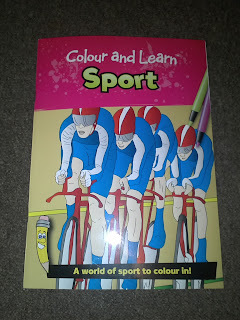 My son is really into sport, so I knew he would like this. He's not very patient when colouring in though as he doesn't have the longest attention span ever, but he does like to finish things, even if it takes him a lot longer than it maybe would other kids. 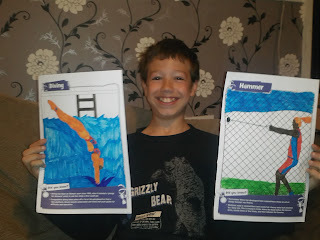 He has started colouring in several others too, but not finished them yet. 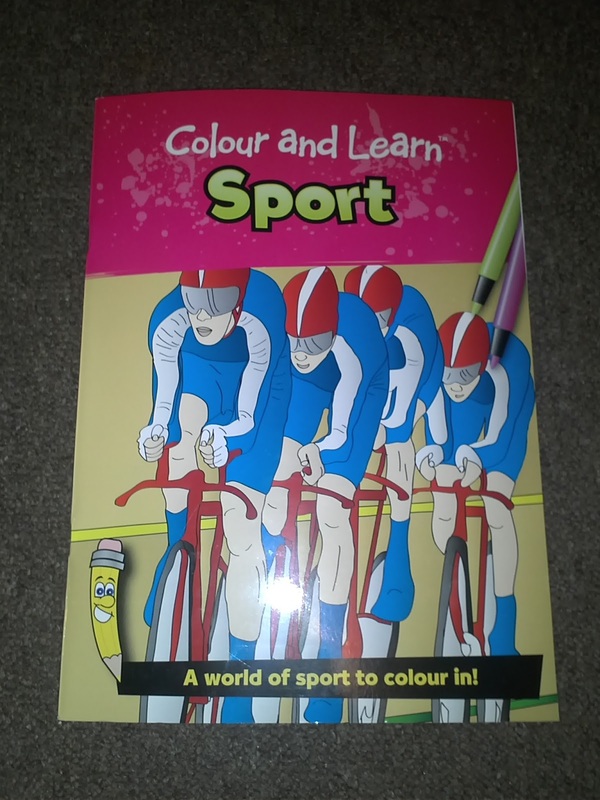 I asked David what he liked about the Colour And Learn Sport colouring book and he said: "You can colour it in and then learn lots of different facts about the sport your coloured in." I then asked him did he feel he had learnt much from the pages and he said: "Lots of stuff about them that I didn't already know." 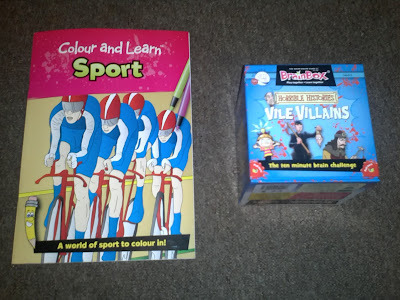 I think David will get a lot more enjoyment out of this yet as it has lots of pages, so lots of fun colouring and learning to be had yet. 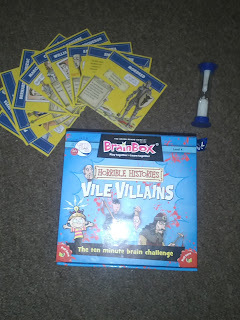 This game is for 1 or more players aged 8+ (or 8-108 if you read the box :P ). 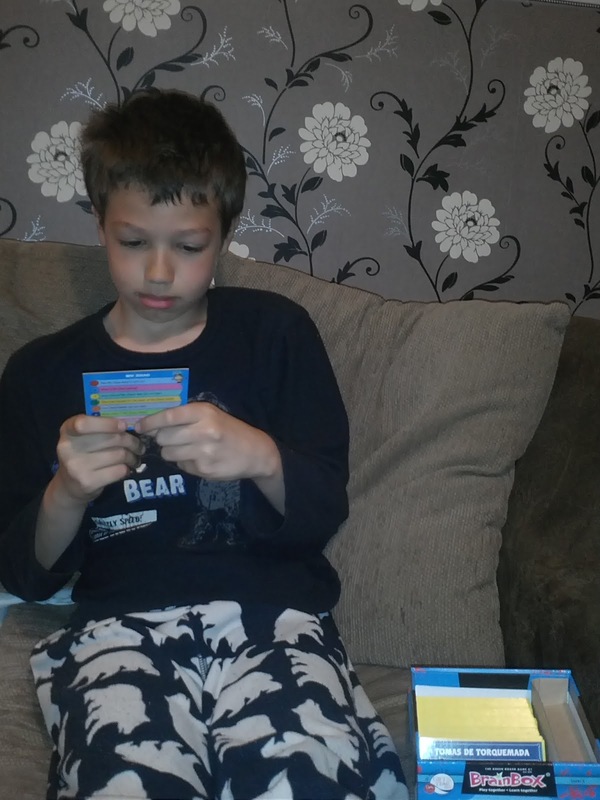 It contains 55 illustrated cards, a rules card, a timer and an 8-sided die. The game is really quick and simple. Me, hubby (Paul) and David had a lot of fun playing this. 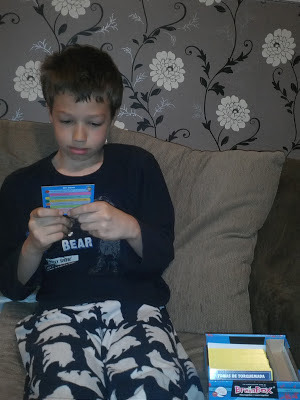 Starting with the youngest player, so in our case, David, you take a card from the front and you can look at it for as long as the timer takes to become empty. Then you pass it to the next player, you roll the die and the other person asks you the question corresponding to the number you rolled. The questions are related to either the pictures or the facts on the card. When you get the question right, you get to keep the card. Otherwise, it goes back into the pile. 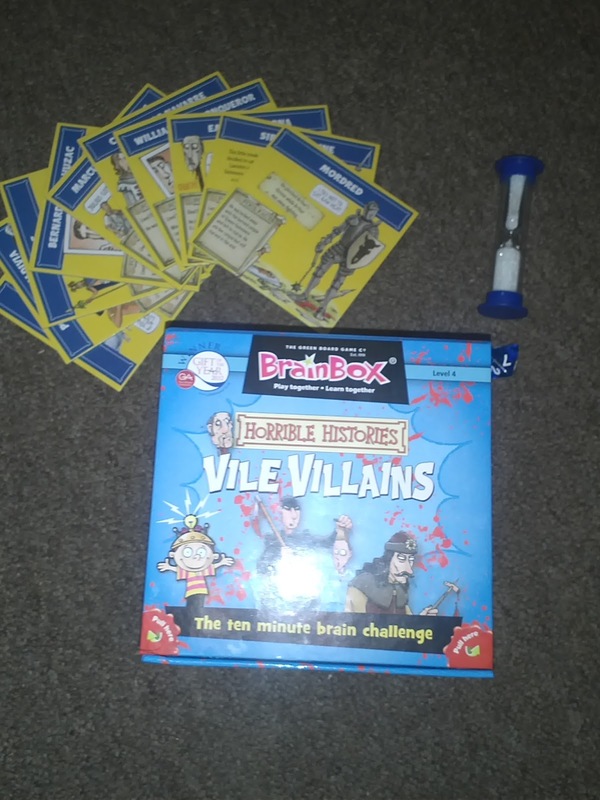 The game takes 10 minutes and the person who has won the most cards at the end of the 10 minutes wins the game. 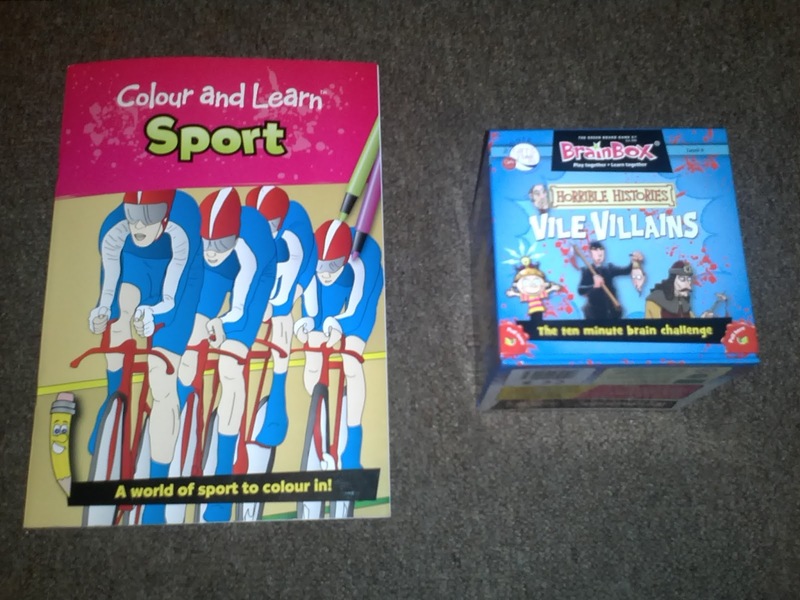 As with the colouring book, this game is great fun, but also educational. You learn a lot of fun facts about historical figures, no matter what your age! I really enjoyed the game. It's fast, fun and I love the facts. I like all things horrific, so the dastardly facts amused me no end. I asked Paul what he thought and he said: "I quite enjoyed the game, it was interesting learning about all these gruesome people and events. It was nice that any age people can play together without children being at a big disadvantage. It's nice that the cards were good sized and solid - thin cardboard cards tend to end up getting bent and lost easily, these look much more durable. I'm worried that after playing it a few times we'll all know all the answers, but I suppose that's a possibility with any game involving question cards. It might've been better if you had to answer, say, 3 questions about each card and you win it if you get 2 out of 3. The 8 sided dice seemed to favour certain numbers (4 or 5 came out more often than anything else)." I asked David what he liked and didn't like about the game and he said: "I didn't not like anything. I liked that you were on a timer and you had to read as much as you can and remember as much as you can so you can answer the question. Some of the facts were hard to understand, and some of them were funny. The questions were good and made me think. I'd like to try other ones like it because they look good. I think my friends would like playing it too."